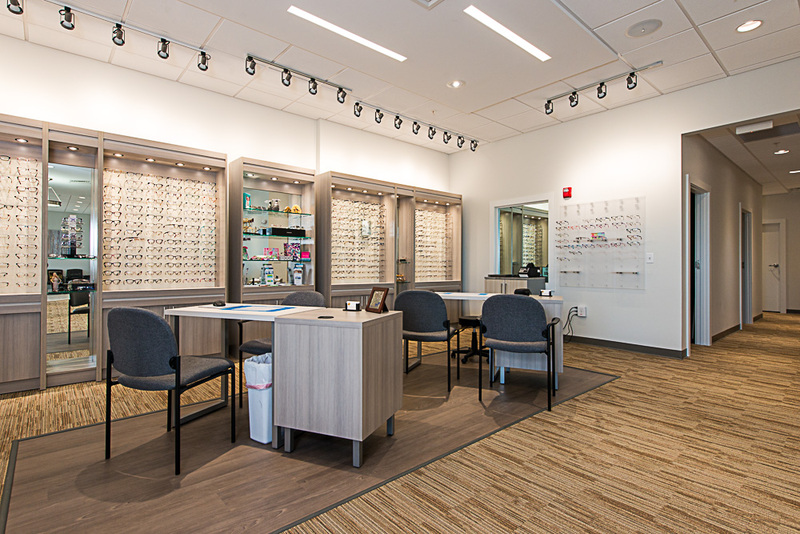 This Optometrist Office in Lebanon, NH was transformed from a recruiting office for the Army, Navy, Air Force, and Marines. North Country Eye Care offers complete routine and medical family eye care. Dr. Stegen began seeing patients in the Upper Valley in 1992. In order to expand the company, Dr. Stegen moved the business to a different location, where he was able to customize the space to fit his needs. This is where Cobb Hill came in to demolished the building down to its exterior walls before going through and reframing the entire inside to meet specifications for an Optometrist office. The new space has two exam rooms, a contact lens room, staff lounge, business office, doctor’s office, pretest room, special testing room, lab, and a reception & kids waiting room. 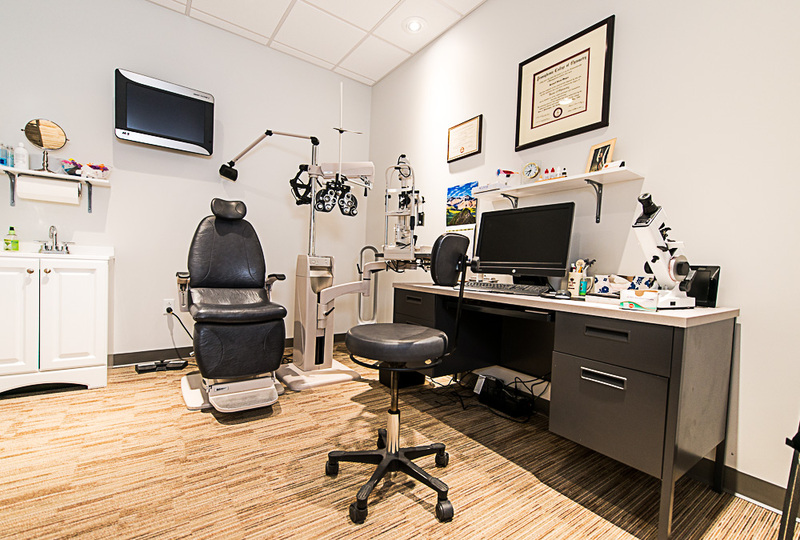 Having their own exam room as well as optical shop allows this practice to provide a full service eye care experience for its customers. We are proud to have worked on a project that dealt with incorporating some of the latest technology in the field. 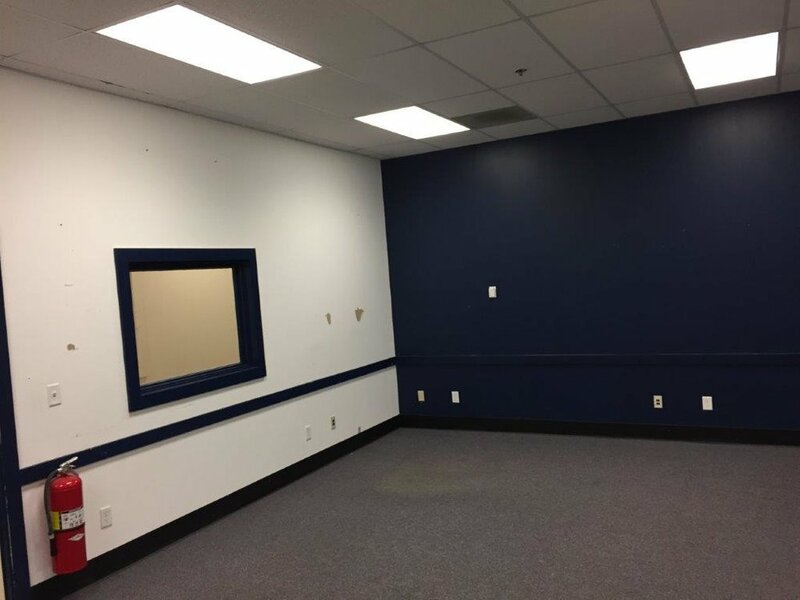 This soon to be Optometrist Office in Lebanon, NH was transformed from a recruiting office for the Army, Navy, Air Force, and Marines. Cobb Hill demolished the building down to its exterior walls before going through and reframing the entire inside to meet specifications for an Optometrist office. 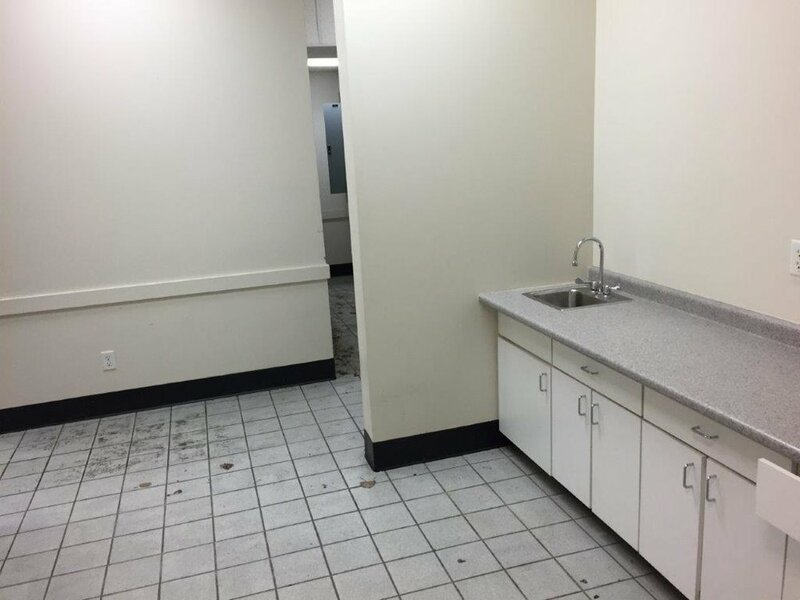 The new space has two exam rooms, a contact lens room, staff lounge, business office, doctor’s office, pretest room, special testing room, lab, and a reception & kids waiting room. We cannot wait to see what the finished product looks like once finished.